SOUTH CAROLINA -- Can you imagine speeding down the interstate, minutes away from giving birth and then you notice you're being chased by police? It sounds like something out of a movie right, well it actually happened to a South Carolina couple. 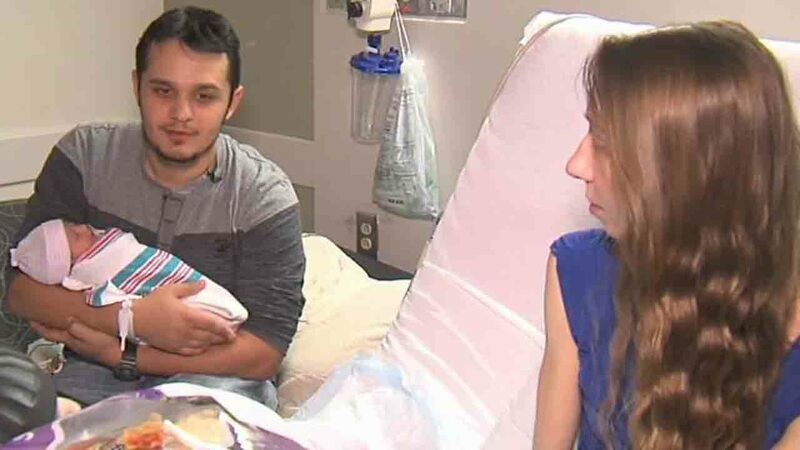 Carl Alewine said after his child's mother started having contractions on New Year's Eve, he found himself doing about 90 mph down I-26 to get to the hospital. "If I was not there, I would not believe it," the baby's father told WCIV. "Not long after we got on the interstate, my water broke and she was just ready to come out," Tiffani Von Glahn said. After the baby was on her way, Alewine said he floored it and quickly saw flashing blue lights behind him. But the man said he knew he couldn't stop. "I said, 'I might go to jail tonight,'" Alewine said. "She is screaming, and I knew that meant keep going. Next thing we know, there are 20 cops cars behind us." The couple said officers eventually boxed them in, forcing them to pull over. "I said, 'Man, she is having a baby, and you are going to end up delivering this baby if you don't do something," said Alewine. But the officer wasn't buying it. "He said, 'I delivered a baby one other time on the interstate.' I said good enough just do it," said Von Glahn. With one push - and no medication - their daughter Anastasia made her debut. Alewine was in handcuffs, crying tears of joy when his daughter was born. "The officer who arrested me came to me and un-cuffed me, and said 'Go see your little girl.'" Despite the confusion, the couple said they're grateful to the law enforcement officer who helped them.